トップページ › 最新情報 › "Early Spring, Great Touring Campaign"スタート!! 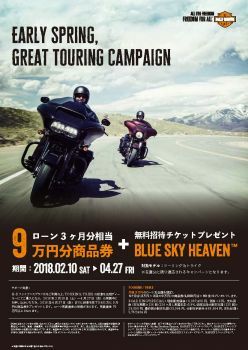 "Early Spring, Great Touring Campaign"スタート! !